DJs from every genre like to record mixes. Recording mixes give DJs a portfolio of their work and re-listening to old mixes is a great constructive practice. However, recording a mix can be stressful. Everything is dark, the DJ before is still packing up, there is no room to start plugging into the mixer, and the song the other DJ left playing ends in 45 seconds. 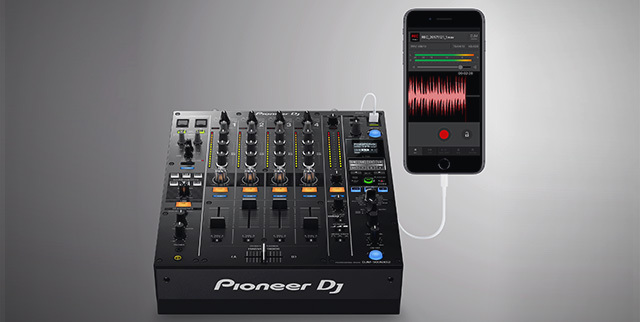 Pioneer is now coming to DJs’ aid with a new app for iPhones and iPads which enables easy recording and sharing of DJ mixes. 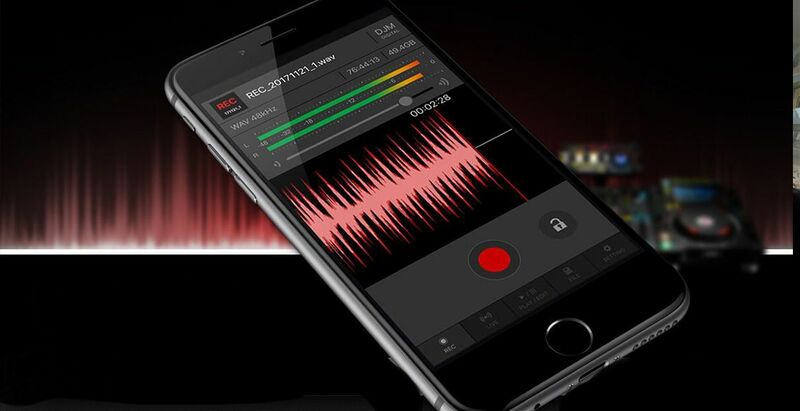 The DJM-REC app has the ability to control the peak limiter on the DJM mixer. This means that a DJ can worry about mixing at the moment and not about whether the levels are peaking on the recording. Mixes can be recorded in WAV format at a 44.1/48 kHz sample rate or in AAC format from 64kbps to 320kbps. DJs can also live stream mixes through YouTube, Facebook Live, Periscope, Instagram, and Snapchat through DJM-REC. Recorded mixes can be directly uploaded to sites like Mixcloud and Dropbox. A unique feature of the DJM-REC app is its ability to time stamp tracks. If a DJ fully uses CDJs with properly labeled tracks, then the DJM-REC will use information from the mixer such as fader positions to accurately timestamp tracks. All timestamps are editable within the app as well, making for easy tracklisting. Another notable feature is the Loudness slider which acts as a mastering tool that attempts to make mixes sound punchy, heavier, and vibrant. There is also a Sub Bass slider that refines the low-end sound of the mix in a similar fashion. These sliders can be used on the mixes recorded within the app or old tracks that need a refresher. For a more rugged sound, DJs can get an analog recording using the app’s microphone function when using an external microphone that can plug into a mixer’s traditional outputs. DJM-REC Worth It or Nah? DJM-REC is shaping up to be a nifty, useful app for CDJ users. It will be great to hear how DJs respond to this app and if it is heavily adopted. 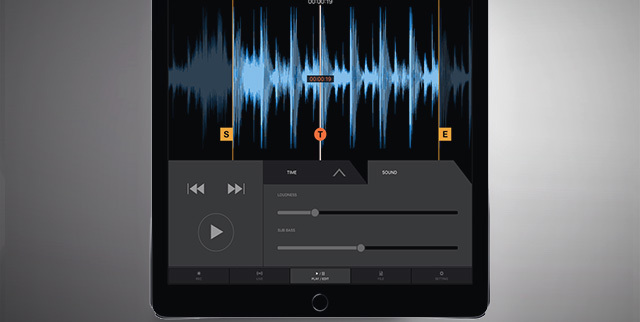 Given the rising popularity of Pioneer DJ’s competitors, this recording app could be a point in their “win” column. Recording mixes isn’t rocket science. Check out this classic DJTT article! Want to see more NAMM 2018 news? Click here to see everything that’s been announced so far!